I’ve only got a few weeks to go now until we pack our bags and head towards Tasmania. This is my first tour and I can’t wait to introduce the creative voyagers to the artists and studios we are going to visit down in Tassie. I personally can’t wait for the Tasman Island Wilderness Cruise on a tiny zodiac (blow up) boat around the highest cliffs in the Southern Hemisphere. Watch their beautiful video before we go. For the Voyagers who don’t include wilderness cruising in your creative journey, there is the historic site at Port Arthur to explore or the charming town of Port Arthur to while away a few hours in. 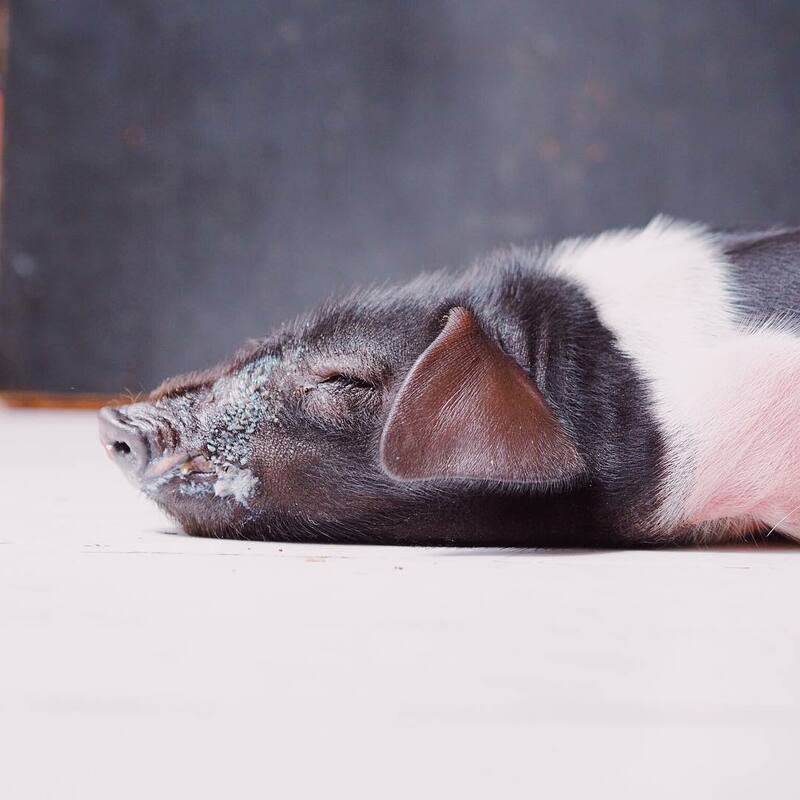 Matthew and Sadie Evans at Fat Pig Farm will be taking us on a tour of the farm after our lunch, they have some new arrivals they have been posting about on Instagram ……. This is Dora (recently discovered to be a male!) We’ll get to met him on our lunch and tour of the farm. If you want to follow Pete and Sadie’s adventures have a look here…. The fairytale world of Nanna Bayer and Zolt Faludi has been growing as they work on their studio space. They have just finished installing a series of beautiful stained glass windows. This pair are so creative, they can turn their hands to just about anything and have built their own pizza oven, sauna, and even made their own yellow, ceramic chimney for their Finnish woodfired indoor oven. I know you’ll love Studio Zona, it is like stepping in a fairytale. 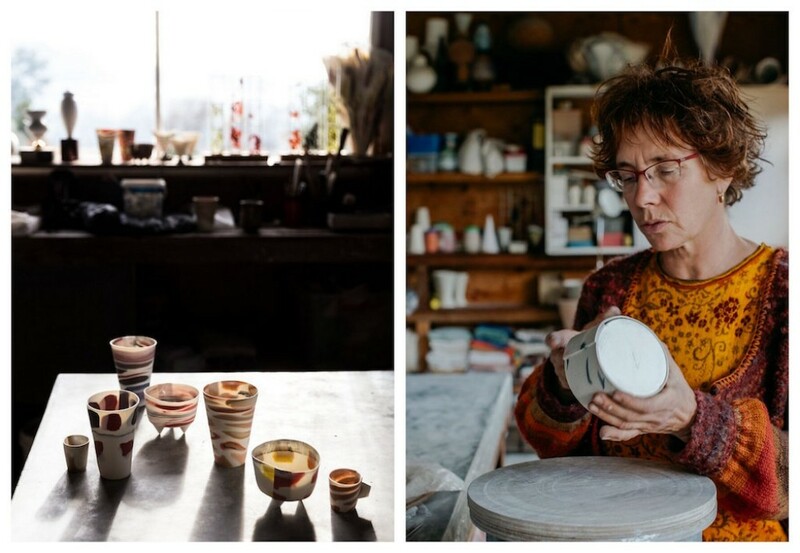 If you missed out on 2018 I’m hopping to run another Creative Voyage of Tasmania in 2019 as a pre-conference event to the Australian Ceramics Triennale in Tasmania next May. Just drop me a line to put your name on the waiting list.